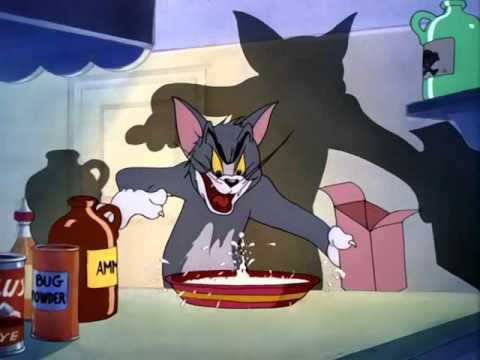 You are currently browsing the tag archive for the ‘evil scientist’ tag. 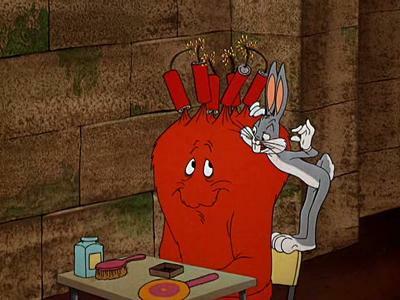 Six years after ‘Hair-raising Hare’ (1946) Bugs Bunny faces the orange monster in sneakers again. 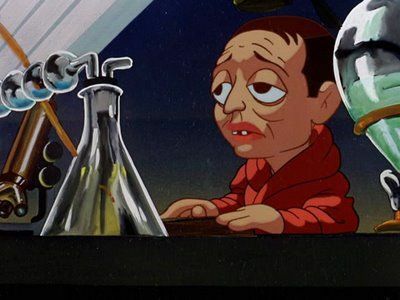 ‘Water, Water Every Hare’ is a horror cartoon featuring almost everything a horror movie should have: an evil scientist, a monster, a mummy and a robot. This story is rather awkwardly framed, however, by a story about the river flooding Bugs’s home and transporting him to and from the castle. Facing the monster Bugs repeats his manicure-tric from the earlier film, although this time he pretends to be a hair dresser. He also makes himself invisible and he makes the monster shrink. If not as funny as ‘Hair-raising Hare’, ‘Water, Water Every Hare’ is full of clever gags. It moves at a relatively relaxed pace, which only a very confident film maker could use with such effect. 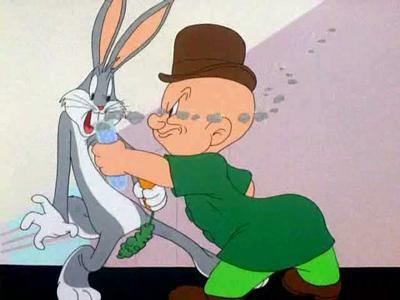 In that respect, ‘Water, Water Evey Hare’ shows the mastery director Chuck Jones had achieved. He needn’t be fast and furious to be funny and he knew it. 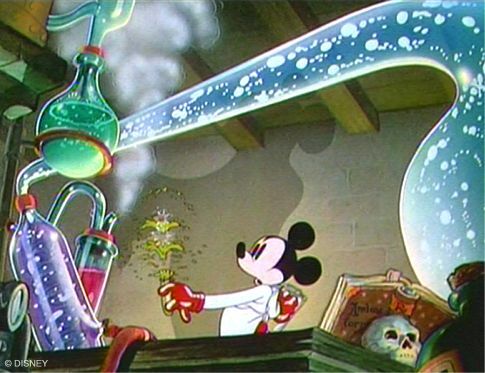 ‘The Mad Doctor’ is Mickey’s third horror cartoon and easily his best (the other two are ‘The Haunted House’ from 1929 and ‘The Gorilla Mystery’ from 1930). 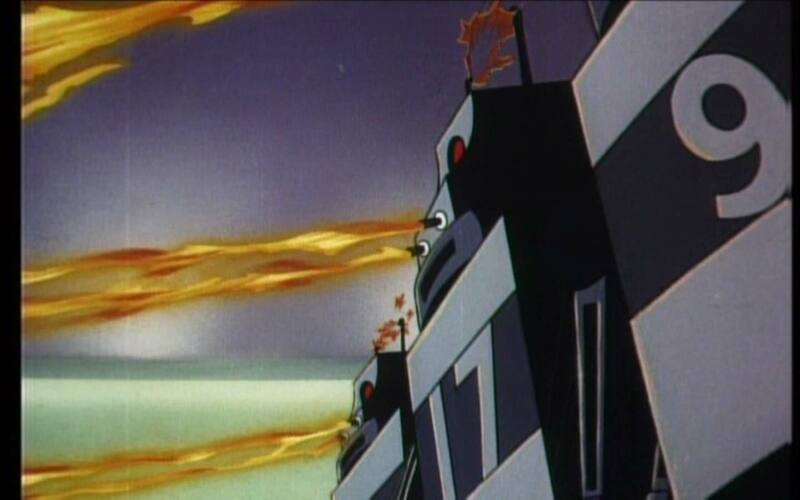 Besides the horror, this cartoon also features elaborate designs and loads of special effects. Especially beautiful is its shadowing on the characters. 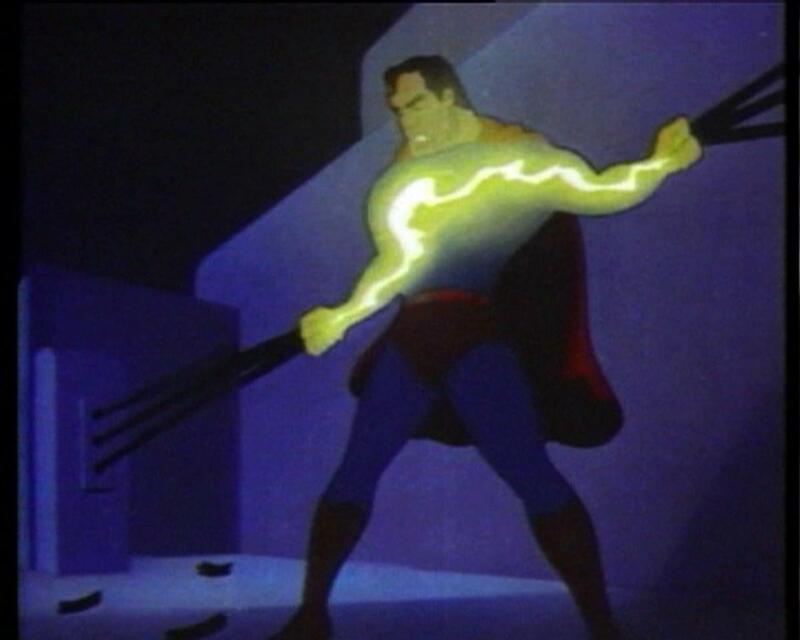 It also has a strong musical element, as the mad scientist sings all his lines. 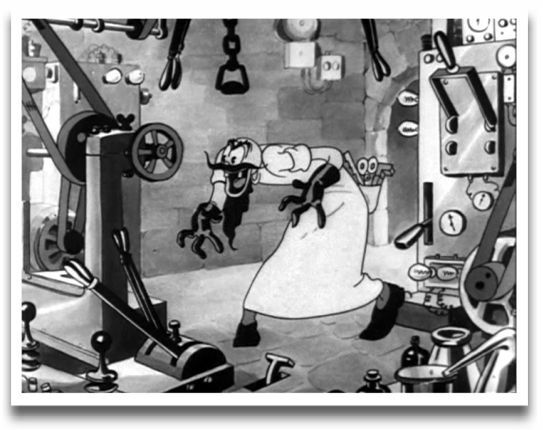 Some of the gags are quite surreal and reminiscent of the Fleischer style, like a lock locking itself or the scientist cutting off Pluto’s shadow. The cartoon also features a gag with many doors in one doorpost. 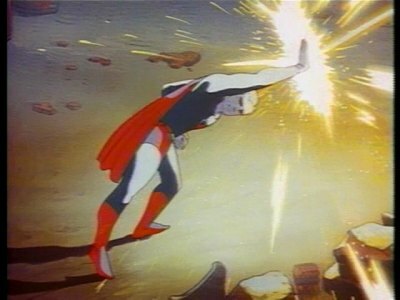 This gag would be reused and improved by Tex Avery in ‘The Northwest Hounded Police’ from 1946.